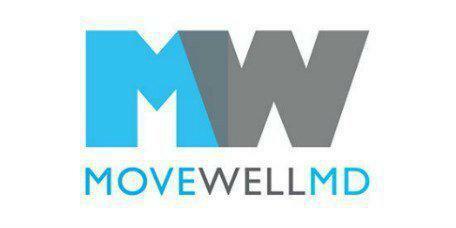 Injuries common to athletes require special treatment options, which is why the staff at Move Well MD in lower Manhattan, New York, and New York's financial district offer a sports medicine service. It's a specialty that focuses on common problems that athletes face whether they play pee-wee ball or in the big leagues. The combination of chiropractic care, physical rehab and innovative treatments such as stem cell therapy help get both the novice and the serious athletes back in play. Sports medicine deals with challenges people face when they push their bodies to the limit by participating in a sport. Dr. Ben Gruen and the staff at Move Well MD don't just treat injuries related to sports-play; they help athletes develop strategies to prevent them, as well. They provide a non-surgical treatment option for a variety of musculoskeletal problems while helping patients maximize their physical skills. Is sports medicine limited to athletes? Not really, although, they do make up a significant proportion of the clientele. Sports medicine specialists work with patients at any level of fitness. It's about taking control of your fitness level and doing it safely and efficiently to avoid hurting yourself. What is involved in sports medicine? Any patient can come to Move Well MD and find answers to problems no matter what is going on with their bodies. Is sports medicine the same thing as rehab or physical therapy? Physical therapy may be a part of sports medicine, but they are different. Physical therapy is a service that helps patients regain their flexibility as they heal from an injury or medical condition. Sports medicine is more of an umbrella term that covers anything that affects someone doing a physical activity or playing a sport. Dr. Gruen might see a patient as part of his sports medicine service and include physical therapy in the comprehensive care plan. What are some common injuries related to a physical activity? Specialists in sports medicine work to heal current injuries, as well as prevent future ones.